Panasonic is celebrating the 100th anniversary of its founding with a special week-long event in Tokyo called Cross-Value Innovation Forum 2018. Company President Kazuhiro Tsuga kicked off the milestone event--taking place through November 3rd and expected to be attended by 50,000 visitors--with a keynote speech that focused on the company's strategy of looking forward to its second century through "co-creation" with business partners, customers, and everyday consumers. Such a transition will require a fresh look at the Panasonic brand, which over the decades has expanded its range of businesses far and wide. "When Panasonic was a consumer electronics manufacturer, the company was easy to understand," Tsuga said. "However, on the eve of our Centennial, when we stepped back and took a look at the many things we do now--as a major supplier of batteries for electric vehicles, a provider of solutions for the factory production lines of other companies, and as a key player in a growing number of industries--we realized we no longer knew how to define ourselves." Tsuga noted that modern trends in mobility and diversifying lifestyles and personal tastes create profound opportunities for Panasonic on a global scale. He cited examples where the company has aligned with partners to produce results. Membership has led to an alliance with construction software developer Glodon and Beijing Linkdata Technologies, a battery-focused energy management company, to apply Panasonic's high-performance vacuum insulated glass technology to temporary housing units for construction workers. The units, which can be constructed and put into place within two months, can easily be personalized (a "lifestyle update"), and transported. They are also ideal for places with high economic growth but housing shortages, such as Dubai, and for use in disaster zones. Following Tsuga's remark's, influential panelists joined the Panasonic executive on stage to discuss the impact of technology on corporate strategy. CEO of Alibaba in Japan Makoto Kouyama, Hitotsubashi University strategy professor Ken Kusunoki, and former newscaster and professor Nobutaka Murao talked about how companies are working to co-create the future. "Chinese consumers come to Japan to get what's not available in China, and use the Alipay payment platform for these purchases. We harvest that data and use it to figure out how to target these consumers in the future," said Kouyama. 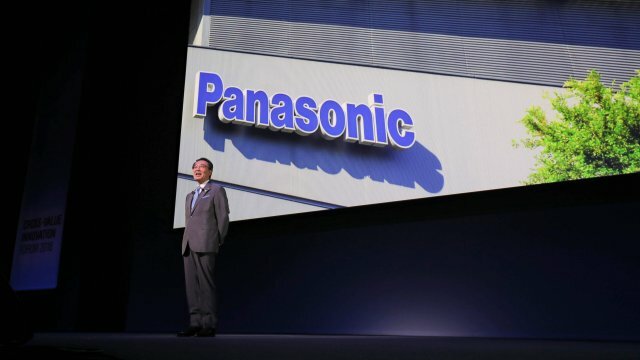 Cross-Value Innovation Forum 2018 marked the culmination of Panasonic's 100th Anniversary Global Exhibition Tour, held to express the company's gratitude to its customers, trading partners, employees, and the many others who have supported the company's development and growth over the decades. Visitors to the event include individuals from the company's corporate customer base in Japan and around the world, government and public organizations, members of the media and financial sector, and current, retired and potential employees. [Keynote Speech] Offering New Lifestyles toward the Next 100 Years - How can Panasonic transform itself from a consumer electronic company?